As a Canadian, you’re likely to be concerned about these two statistics. Urban flooding alone resulted in over $20 billion of damage in Canada from 2003 through 2012. And flooded basements have now replaced house fires as the most expensive claim type for Canadian homeowners. The advice to homeowners: Check your insurance policy. There are two major types of insurance against flooding: regular flood insurance and overland flood insurance. Provinces don’t regulate these types of insurance, so pricing depends on the provider, the address of the residence, and the property. Homeowners might think, “Well, my home isn’t near an ocean, lake, river or other flood-prone area, so why be concerned?” Here’s why it would be wise to investigate a bit further. Cleanup and restoration for a flooded basement is reported to cost $42,000 in major Canadian cities – and not all insurers will cover 100 percent of the damage. The first call should be to the homeowners’ insurance broker, who can look up the area in which the home is located and provide insight into the threat of flooding. The broker can also provide for flood insurance and explain the costs associated with different coverages. 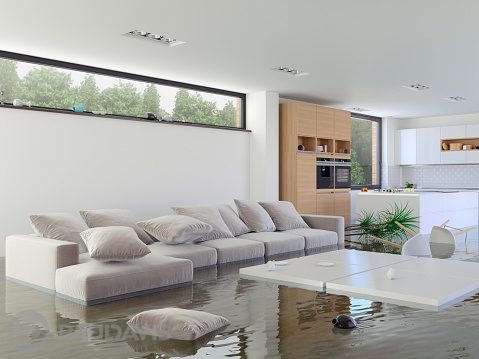 Remember, too, that when any flood or other water damage occurs, This Is No Time For Second Best®. Call Paul Davis for expert emergency cleanup, recovery, and restoration.